Front cover of the book you MUST read. 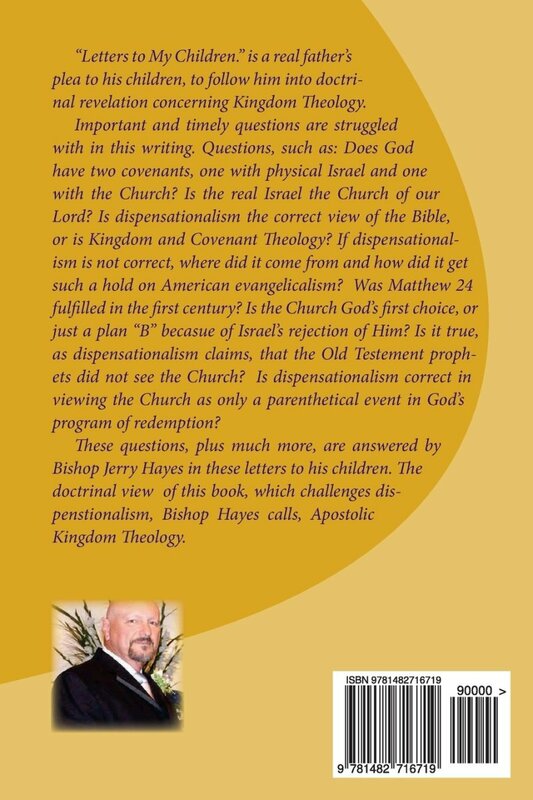 The back cover of "Letters to my Children on ..." To see how you can own this amazing explanation of biblical truth, click on the link at the conclusion of this study. Is the Millennial Reign of Christ A Literal One Thousand Years? It is with great interest that I write to build your faith in the surety of God’s Word. Therefore, establishing your eternal hope on the sure foundation which is Christ our Lord. The subject under review in this writing is what is commonly called the “Millennial Reign of Christ.” Of course the word “millennium” means: one thousand. The doctrine of the Church, established by the above passage of Scripture, is that Christ will reign on the earth for a thousand year period (a millennium); but, the in-house debate is whether the thousand years of Revelation 20:1-6 is to be understood literally or figuratively. We should mention here that three major views have persisted in the Lord’s Church: post-millennial, pre-millennial, and a-millennial. In all three positions, it is the messianic reign of Christ (Messiah) that is in view by the word “millennial.” In the first two (i.e. post-millennial, and pre-millennial), the prefix references the second coming of Christ; in the third (i.e. a-millennial), the prefix “a” means not or without and literally (when put before “millennial”) means: without a millennial. This is a misnomer however, in that the teaching designated by this word does indeed teach a millennium, only not a literal one. It would be good, at this point, to list the definitions of the three terms that have just been introduced. Below are the definitions of those terms. Post-millennium: The second coming of Christ will take place after a literal thousand year reign of Christ, in the person of his church. Pre-millennium: The second coming of Jesus will take place BEFORE a literal thousand year reign of Christ when he will rule in physical form from Jerusalem. 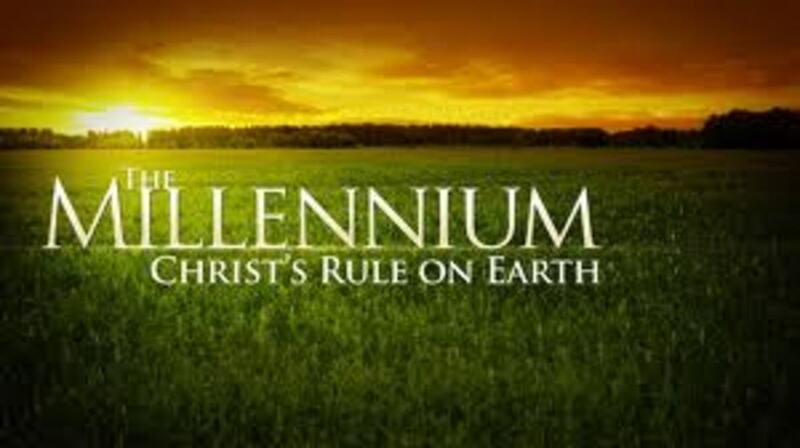 A-millennium: Views the thousand year reign as figuratively, representative of the complete church age; that Jesus will return at the conclusion of this period, but no one may know just how long it will be. The separation of Israel and the Church. Second, consider the identity of the Church and Israel. When a literal understanding of the thousand year reign of Christ is established, it forces a separation between the Church and Israel; said another way: a literal view of the thousand years insist on a difference between the Church and the Messianic Kingdom. Such a view makes the covenant established at Calvary parenthetical to the covenant established at Mount Sinai. Of course, all of this is contrary to the clear teaching of Holy Scripture. One might observe that the thousand year reign of Christ is only mentioned once in the entire Bible. Now, that it is mentioned but once (in six verses only) does not indicate its unimportance, or that it should be ignored. But it does raise the question of: Why should the multitude of other texts, on the subject of the kingdom of the Messiah, be understood from its (Rev 20:1-6) literal perspective when it is located in a highly figurative book? This question becomes very important, when it is observed that the literal perspective of the thousand years demands a reinterpreting of all other kingdom passages, and does violence to expository exegesis (E2). It seems much more practical to understand the odd, minute, and isolated passage (namely, Revelation 20:1-6) on the Messianic Kingdom, in the light of the clear and voluminous texts on the same subject. If the more pragmatic approach is taken (i.e. the great volume of clear teachings of the prophets, Jesus, and the apostles, that the Church is, indeed, the Messianic Kingdom) then the odd, minute, and isolated text of Revelation 20:1-6 would not be understood literally, but would, of necessity, be interpreted symbolically. Thus, the thousand year reign of Christ would be understood to be a figurative number, which represents a long period in which Christ (through His Church) will rule and reign on the earth. It would seem, then, that most of the misunderstanding of end-time and Kingdom theology has sprung from this inverted way of interpreting this particular text. To take any given number (in this case the number 1000) from a document where numbers are employed, throughout, in a highly figurative manner, and assign to that number a literal meaning, seems to be a harsh breaking with apocalyptic context altogether; to say nothing of the very nature of apocalyptic literature which is always covert, not overt. Therefore, when one considers the symbolic nature of the book of Revelation, it seems strange that so many insist on a literal interpretation of the thousand year reign; and, then use that as a standard by which to force a literal interpretation on all the Kingdom passages—no matter how that application may do violence to expository exegesis. The number three (3) is used throughout the book of Revelation to represent witness (i.e. confirmation): see 6:6; 8:13; 9:18; 11:9; 10:13; 16:19; 21:13. Throughout the book, John employs the number seven (7) to represent completeness and the number of covenant: see 2:1; 3:1; 4:5; 5:1; 5:5, 6: 8:2; 8:6; 10:3, 4; 11: 13; 12:3; 13:1; 15:1, 6, 7, 8; 16:1; 17:1, 3, 7, 9, 10, 11; 21:9. In the book of Revelation the number ten (10) represents the work/price of redemption: see 2:10; 5:11 (see Genesis 18:32; 24:10, 22; 31:7; Exodus 26: on, 16; 34:28); also see Revelation 12:3; 13:1; 17:3, 7, 12, 16 where the ten (10) horns of the beast speak of false redemption. In Revelation, the number twelve (12) represents government: see 7:5, 6, 7, 8; 12:1; 21:12, 14, 16, 21; 22:2. Any multiple of the above numbers (i.e. 3, 7, 10, or 12) is an extension of the number’s principal meaning. The “one-third” (1/3) of Revelation is a prophetic rhetorical one-third: see 8:7, 8, 9, 10, 11, 12; 9:15, 18. When Revelation speaks of “one hour” a short time is being indicated: see 17:12; 18:10; 18:17, 19. Similarly, when the book of Revelation uses a time of 1000 years a long period is being referenced: see 20:2, 3, 4, 5, 6, 7. The number three and one half (3 1/2) appears in different forms in the book of Revelation: 3 1/2 half in 11:9; 42 months in 11:2, 13:5; 1260 days in 11:3, 12:6; time, times, and a half a time in 12:14, see Daniel 7:25. This number is a conventional apocalyptic symbol for any limited period of unrestrained wickedness. 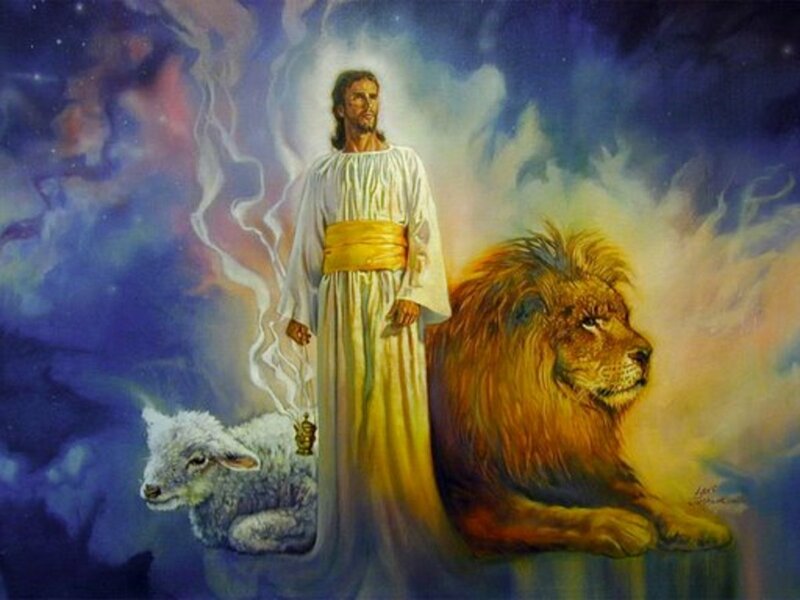 The great numbers dealing with the number “1000” such as the 200 million man army of Revelation 9:16, and the 10,000 x 10,000, and thousands of thousands about the throne in Revelation 5:11, are to be compared to Daniel 7:10 where the 100,000,000 and the 1,000,000 represent the same number. Therefore, all these numbers are rhetorical and represent a number that is so great it is uncountable. Therefore, to pull the number 1000 from its apocalyptic environment of symbolism, and insist on its literalness, is questionable exegesis—to say the least. It is especially so, when all other passages on the messianic kingdom (when interpreted expositorially) would suggest a figurative meaning, for the thousand year reign of the Messiah. In that the number 1000 is a multiple (10 to the tenth power, 1010) of the number 10 (which is the biblical number for the work/price of redemption), according to apocalyptic symbolism 1000 should be understood as representative of the amount of time required to bring total redemption to all of creation. Therefore, the thousand year reign of Christ (the Messiah) does not view a literal thousand years of 365 (or 360) days; rather it is apocalyptic language for a long period in which Christ (the Messiah) is working through His saints, to bring the consummation of salvation upon/into the created universe. 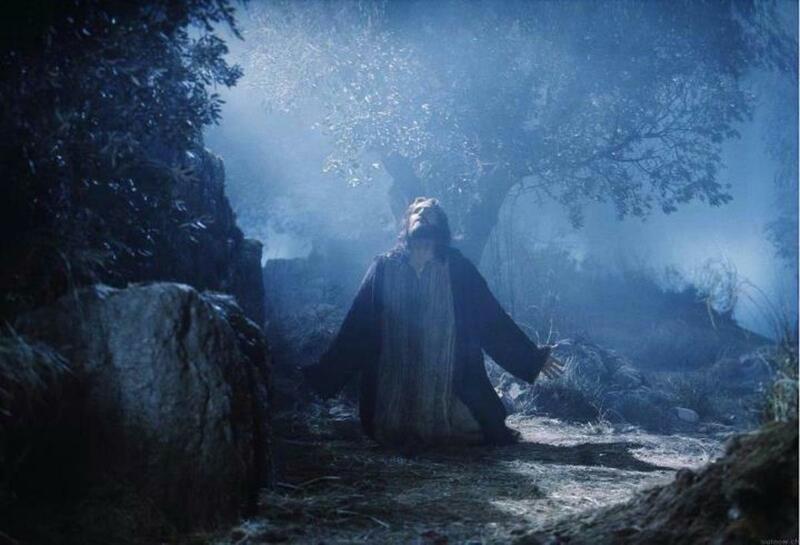 At the end of this time Jesus will physically return from heaven onto the earth. It is none other than the apostle Peter who states this clearly. When speaking of Christ, Peter says: “Whom the heavens must receive until the times of restitution of all things, which God has spoken by the mouth of all his holy prophets since the world began” (Acts 3:21). 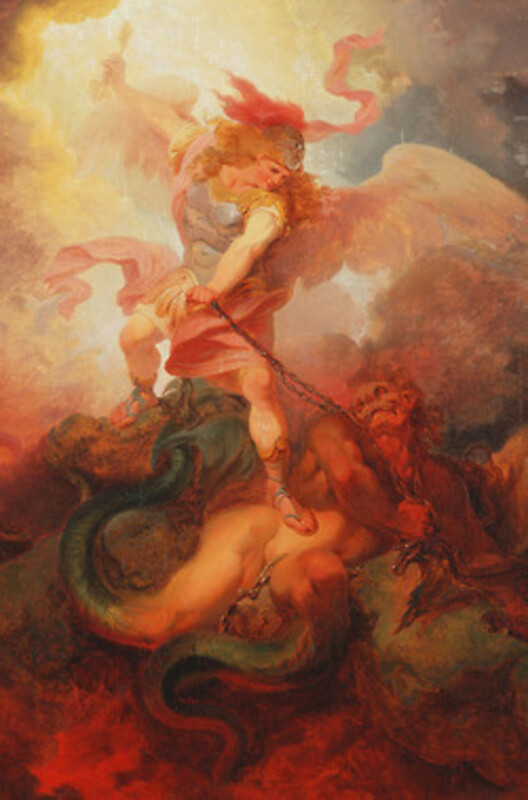 The Angel Binding Satan - Philippe-Jacques de Loutherbourg (31 October 1740 – 11 March 1812)- an English painter of French origin. Of course, this question comes from Revelation 20:2-3, were John informs his readers that during the thousand years, of the Messiah’s rule, Satan would be bound. Considering the wickedness that has been recorded in the last two millennia, it is difficult for one to understand how it is that the “great Dragon” could have been bound all this time. The first thing we need to recognize is that the “binding” is a qualified “binding.” Although the metaphors of a “chain,” and “seal” are used, one is warned against taking these items too literally; after all, this is a book of symbols. John tells his readers (in Revelation 20:2) that the “binding” was to restrain Satan from deceiving the nations “till the thousand years should be fulfilled.” Therefore, the “seal” placed upon him was a prohibition from hindering the spread of the Gospel of the Kingdom. This binding is, most likely, referenced by the apostle Paul when he wrote to the church at Thessalonica: “And now ye know what withholdeth that he might be revealed in his time. For the Mystery of iniquity doth already work: only he who now letteth (restrains) will let (restrain), until he be taken out of the way. And then shall that Wicked be revealed, whom the Lord shall consume with the spirit of his mouth, and shall destroy with the brightness of his coming.” (2 Thessalonians 2:6-8). From these words of Jesus we may be assured that Satan has been bound, cast down, and overcome so that the kingdom of the Messiah can be established. Dear friends, having set forth what the Bible teaches about the thousand year reign of Christ and the binding of Satan during this time, it is my prayer that you have been equipped to better see your position within the kingdom of the Messiah. 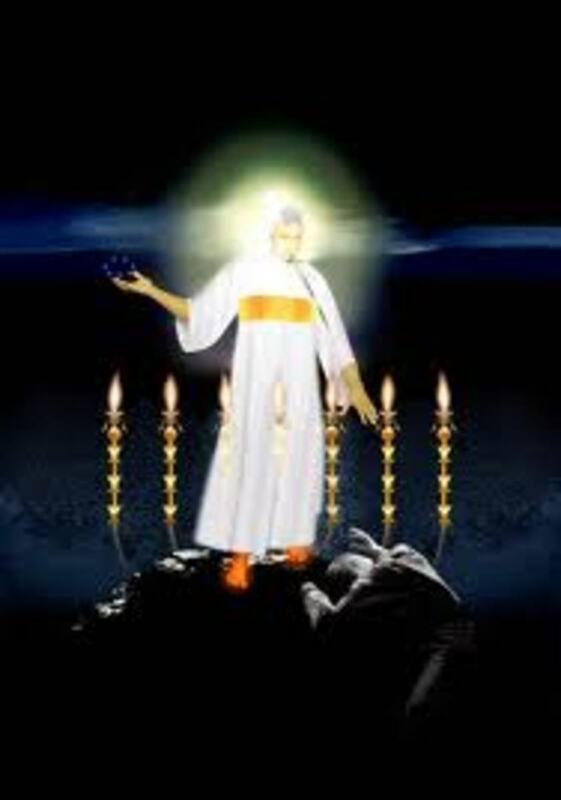 Christ calls us to work while it is today, for night comes when Satan will be released from his restraints to re-deceive the nations and come against the “Camp of the Saints” (Revelation 20:9). While he is restrained we must strike at his kingdom and spoil his goods for the advancement of the Messianic Mission. May the God of all love keep you all in His grace, is my prayer for all of you. The Kingdom of God. What is it? What is its make-up and nature. This article ventures into these questions. So much depends on the order of sequence for the visions of Revelation that this question must be settled before any progress can be made is understand this all importunity manuscript. This article begins a series on the Kingdom teachings of Jesus. Here we look to Christ's own words concerning the Messianic Kingdom, its nature and particulars. In this article several passages from the Gospel of Matthew are reviewed in regard to the Kingdom teachings of Christ. Matthew writes to inform his readers that Jesus established the throne of David. Part III of the Kingdom teachings of Jesus looks at Mt 13, called "The Kingdom Chapter." Here, Jesus teaches 7 kingdom parables. The students of ecclesiology, and eschatology can not ignore this ch. This 4th in a series of Kingdom Teachings of Jesus examines Mt 16:27-28; in particular the statement concerning some of His hears being alive when He returned with the holy Angels. Our article deals with the Kingdom of the Son of Man as presented by the prophet Daniel. It is amazing how much turns on the interpretation of the word "generation" as used by Jesus in Mt 24:34. In this writing we will explore what Jesus meant by "generation;" the crux of the matter. The subject matter of this paper is understanding the question, which is the genesis for the Olivet discourse. How may one arrive at the proper answer not understanding the question? We continue our study of Kingdom theology by reviewing Revelation's quadruple warnings of imminent fulfillment. The challenge to futurism is glaring. After spending over forty years in the dispensational doctrine, and having raise my children in that theological framework, I became a convinced adherent to a "kingdom" theology that recognizes the Church as the Israel of God, and that the first century actually saw the fulfillment of most of Matthew chapter 24. 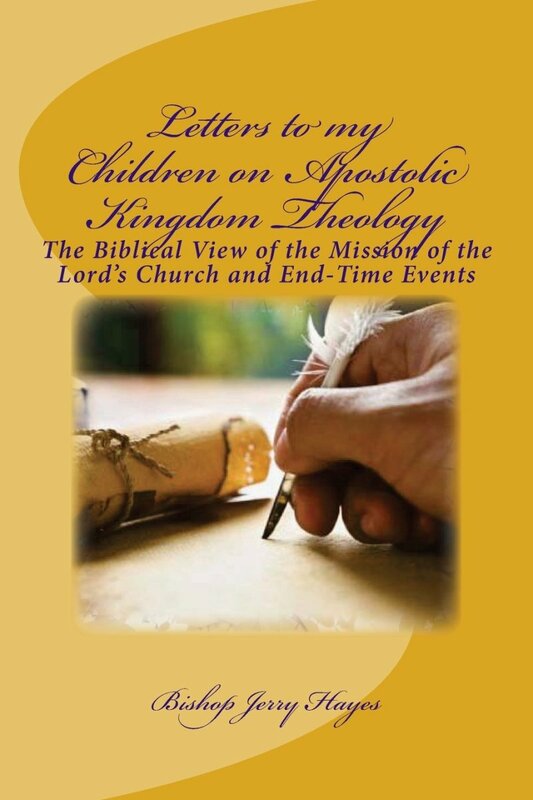 "Letters to My Children on Apostolic Kingdom Theology" is a compilation of twenty four letters written to my children explaining my journey, and showing how we were led astray from the apostolic teaching of Scripture to embrace a view recently come into the Lord's church, of which the apostles knew nothing. These "Letters" provide a systematic approach to Apostolic Eschatological study of Scripture. It is sure to interest all students of Scriptures. 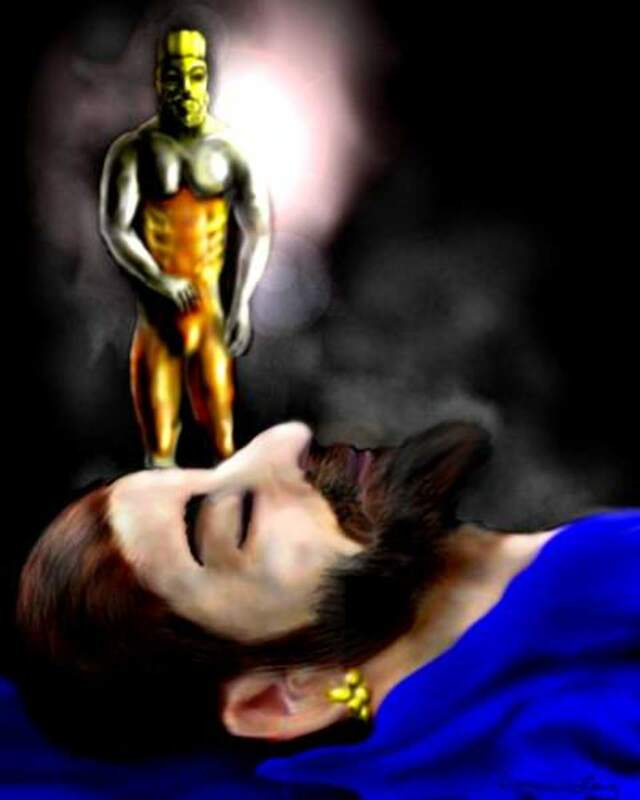 The Seven Spirits of God - The Flame of the Menorah! THE RAPTURE PRINCIPLE: Is It Before, During, or After?